Due to the lack of darjeeling tea this season, this tea will discontinued on December 31. When it comes to celebrations big or small, we love to pour ourselves a cup of something special. 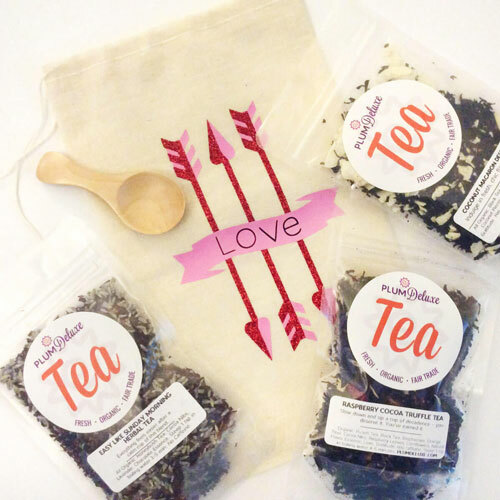 So that’s what was on our mind when we created our Celebration Blend Darjeeling tea. 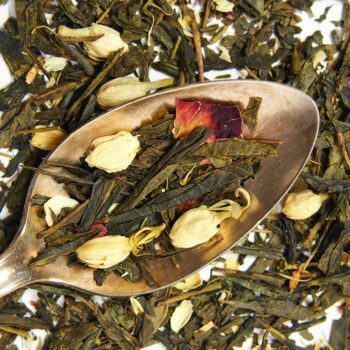 The base of this loose leaf tea is a blend of Darjeeling teas from all four seasons. Each Darjeeling harvest season has a different flavor, and we like the balance of having the year-round combination. 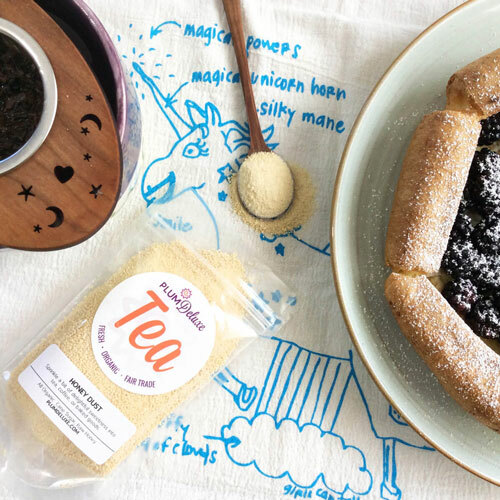 We pair it with a handful of green tea and a pinch of rosehips for body, and then we add two of our favorite flavors: strawberries and champagne! 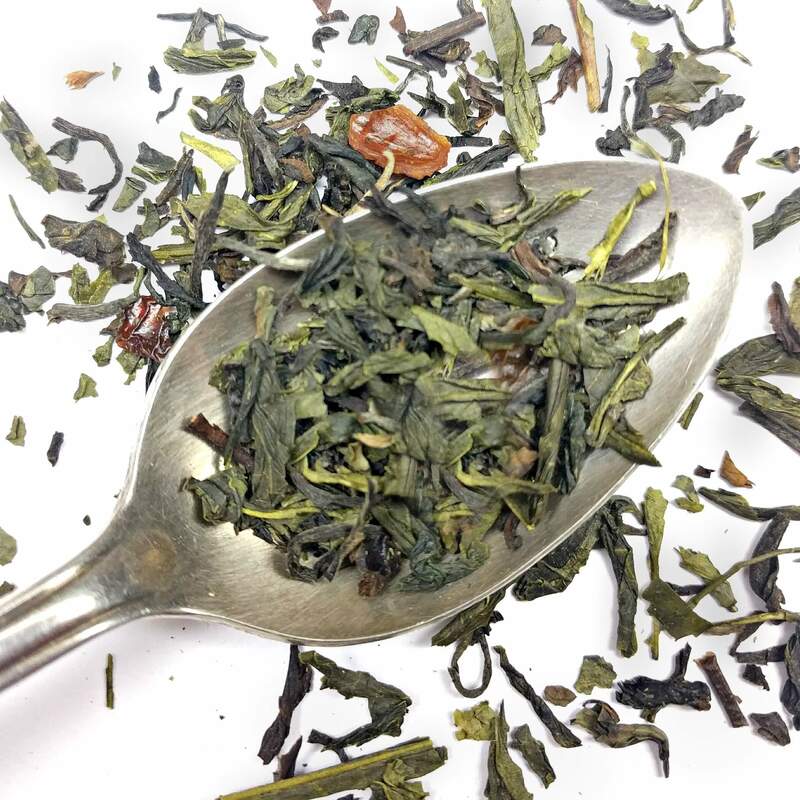 The natural strawberry extract adds a wonderful sweetness and draws out the vibrancy of the green tea, all balanced out by the delightful champagne grape extract that also naturally accents the muscatel flavors of the Darjeeling. 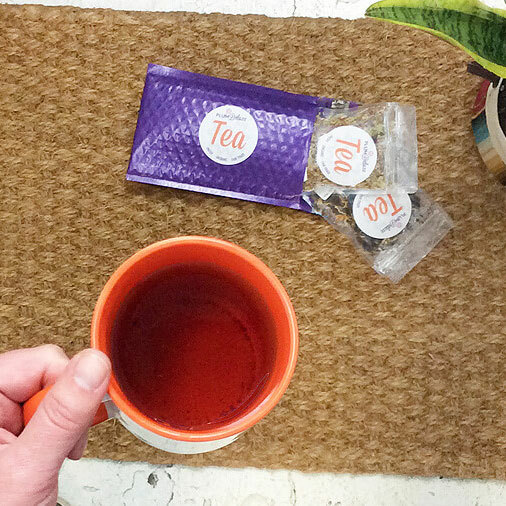 The flavor of the this tea … is foxy ( this is a wine term for a grape-taste, like candy almost). This helps gives this darjeeling a nice body to it. It really does feel something you would drink to celebrate something! The flavors would be perfectly complimented by a shortbread cookie. 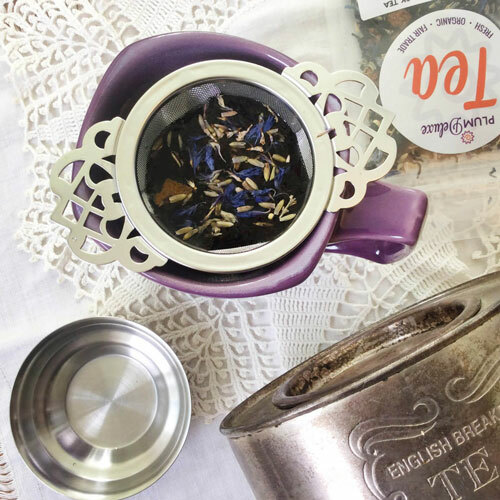 All Plum Deluxe teas are hand-blended and infused with love in Portland, Oregon. Each 1oz packet makes 15-20 cups. All organic ingredients — no sulfites, no artificial chemicals, non-GMO. 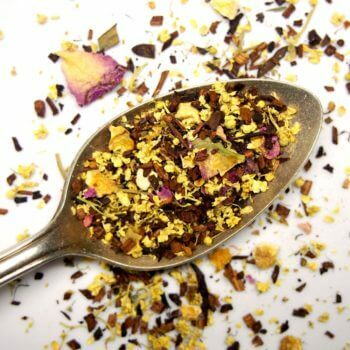 Ingredients: All Organic: Darjeeling Tea, Sencha Green Tea, Rosehips, Strawberry Extract, Champagne Grape Extract, Love, Gratitude. Has Caffeine. Preparation Instructions: Use 1 1/2 tsp per 16oz cup. Steep with boiling water for 3-4 minutes. Suggested Uses: This blend is wonderful hot or iced. Adding a bit of raw honey or other sweetener will bring out the fruit accents.